This crab casserole makes an excellent main dish and it is great with rice or French fries and a side vegetable. Broccoli, peas, asparagus, or green beans would be great with the dish. The casserole can also be served as a hot dip with crackers or chips. You can keep it warm on a warming tray, or put the baking dish in the slow cooker and keep it on the warm or low setting. Heat the oven to 350° F (180° C/Gas 4). Butter a 1-quart casserole dish. In a medium bowl, lightly whisk the egg. Add the crabmeat, mayonnaise, mustard, Old Bay, and capers, if using. Stir to blend thoroughly. 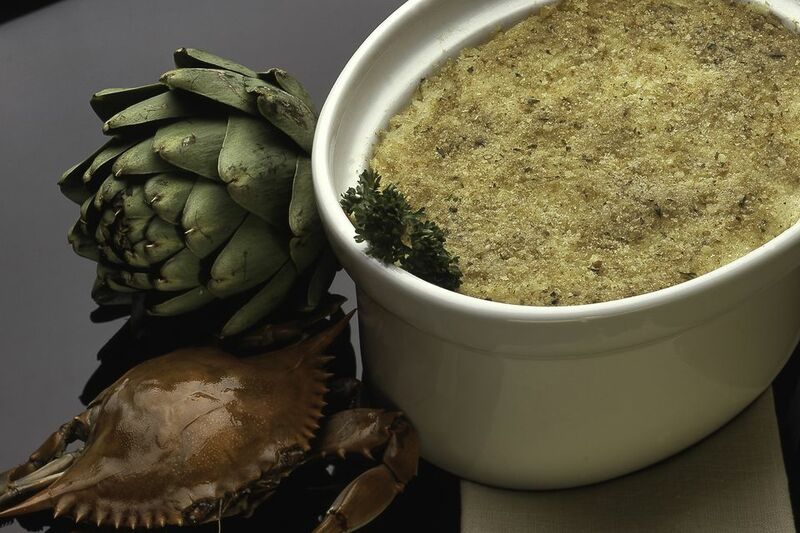 Spoon the crabmeat mixture into the prepared casserole dish and then top it with the Ritz cracker crumbs. Bake in the preheated oven for about 25 to 30 minutes, until bubbly and lightly browned. Add about 1/2 to 1 cup of chopped drained artichoke hearts. Add 1 tablespoon of chopped pimiento to additional flavor and color. Stir about 1/4 cup of chopped green onions into the crab mixture. Make it a seafood dip with some chopped lobster or shrimp along with the crabmeat.